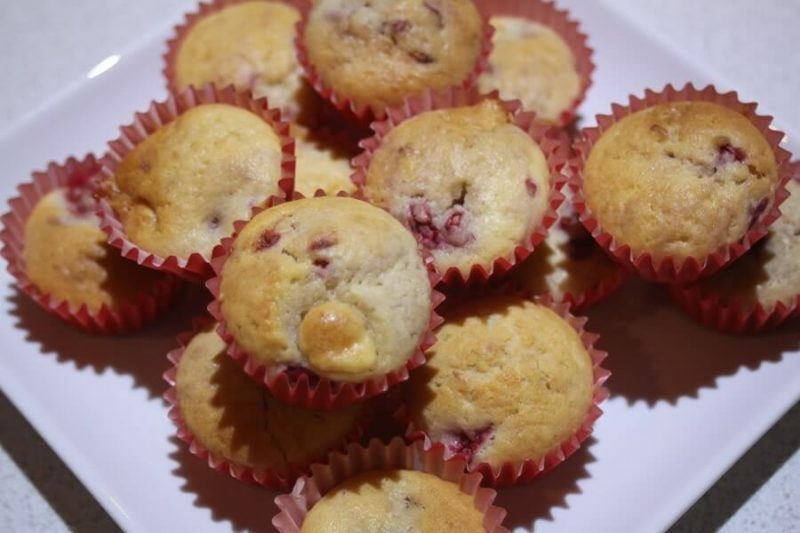 Anything mini is just so cute, these mini Raspberry and White Chocolate Muffins are no exception. We made them for an afternoon tea style birthday party, the leftovers went in the freezer for school lunches. You could use blueberries if you wanted instead of raspberries and you can make any size you like really, but the mini ones are just so darn cute!